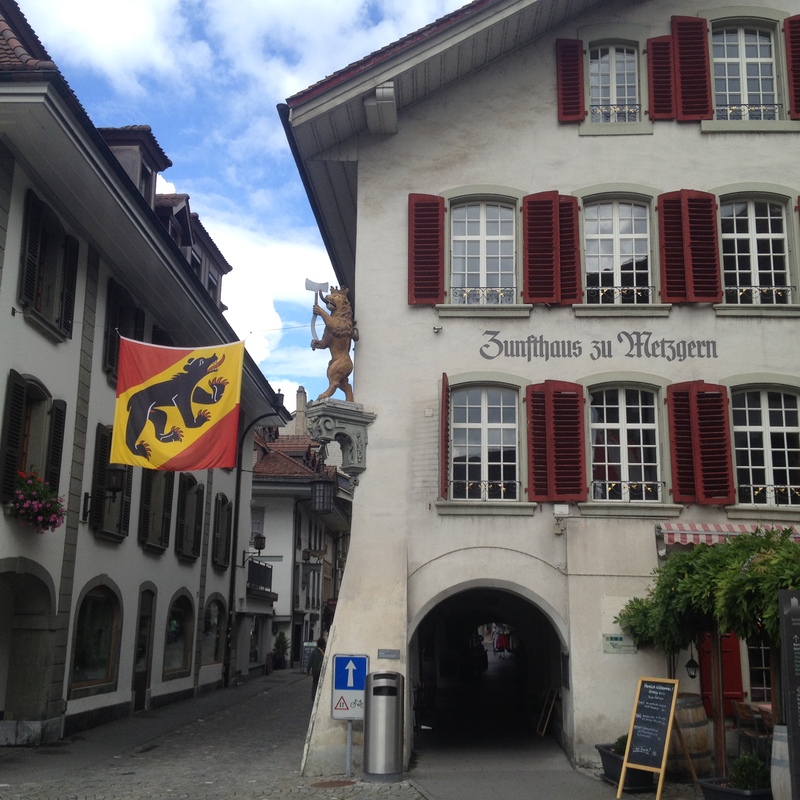 So, here is the second portion of my Swiss stay! adorable little town, which has a local market every Saturday. We were lucky to catch it – lots of interesting and yummy stuff there! There is also a castle (of course), from where there is a very nice view to the town and the river. Do not miss it if you are around there! 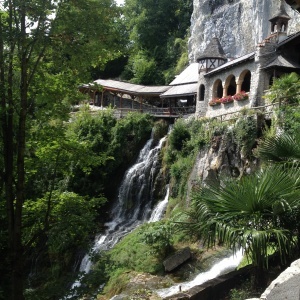 This place is mostly known only by Swiss and people from the countries around, so it is not crowded. Totally worth a visit! 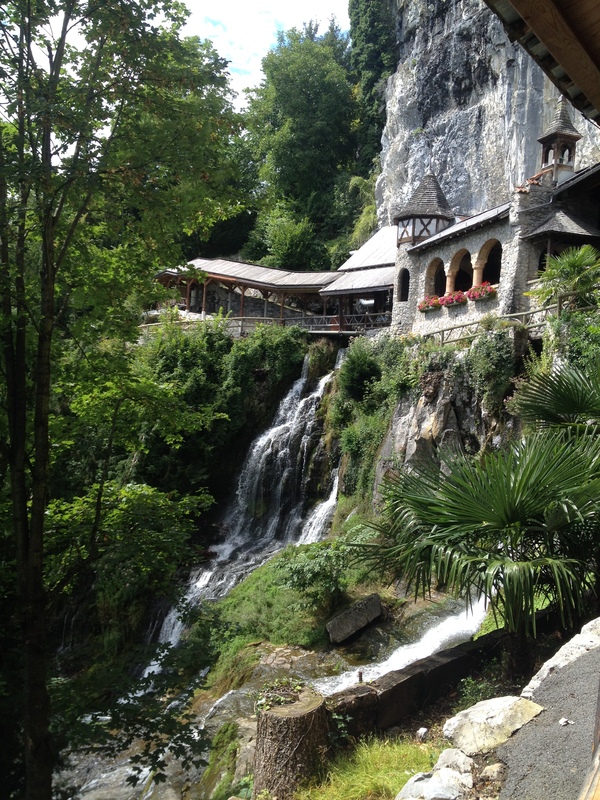 It looks like Rivendell was captured there, seriously! 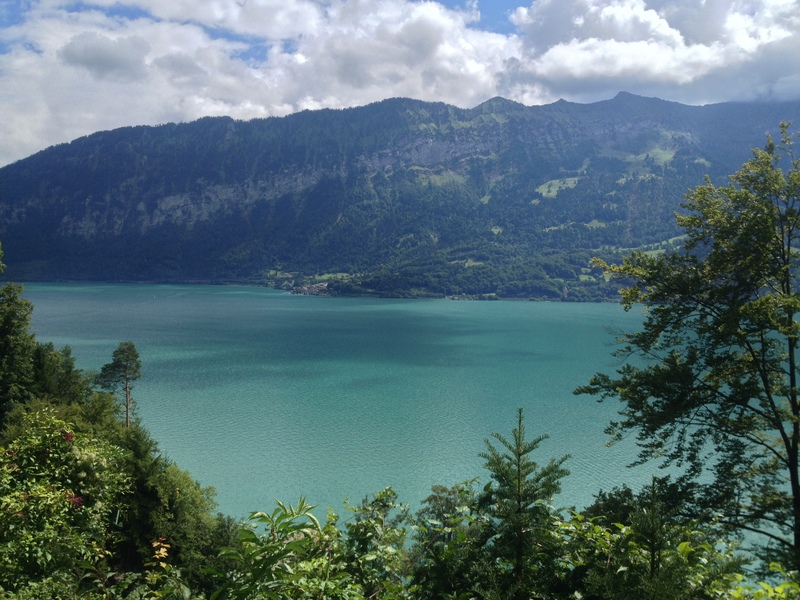 Interlaken means “located in between 2 lakes”, it is just couple of kilometers away from the cave. 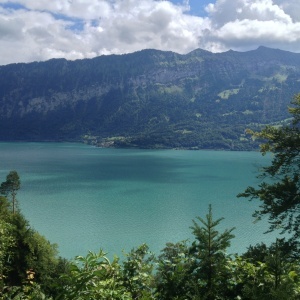 From there you can see a breathtaking view of the Thunersee and Brienzarsee lakes. I have never seen a lake more beautiful! Just to have an idea you can see my instagram video here. 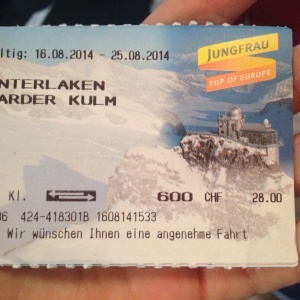 The funicular will take you all the way up the Harder Klum mountain to almost 2000 m. Very nice terrace, where you can have a coffee/to eat (btw, not that costly, comparing with other Swiss prices of course). The price of the trip is 28 CHF round trip. and on the way back we passed by this town which is located exactly on the shore of Lake Thun. We did not spend much time there, but it was more than enough to understand it is just enchanting! One day is really short, isn’t? But we managed to see so much! Certainly recommended! P.S. 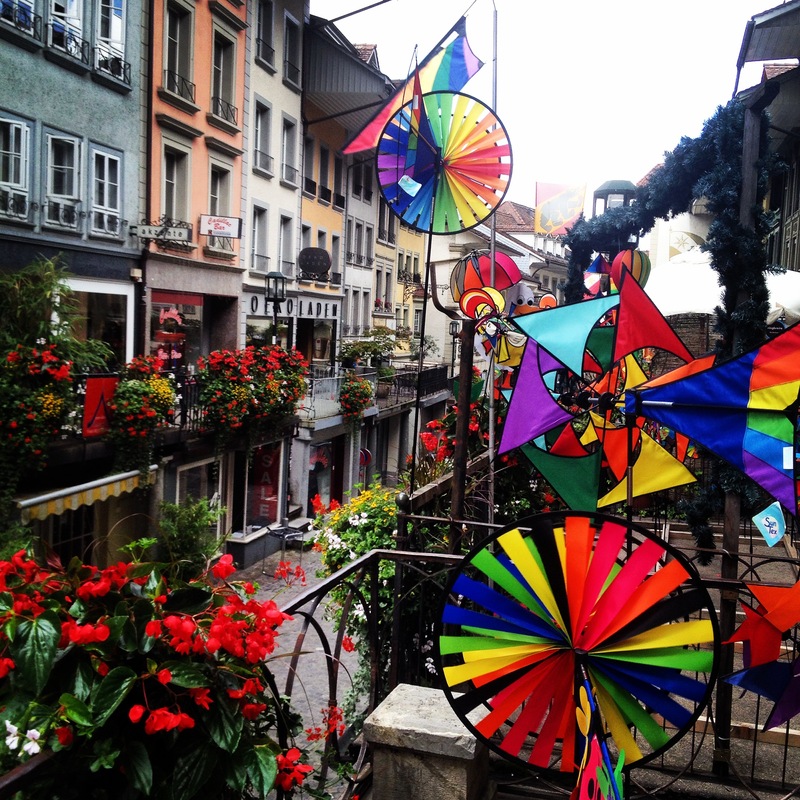 I also have spent a couple of days in Vevey, which is absolutely stunning! Thanks for reading this article, “Like”and share if you enjoyed reading it, it will make me happy! 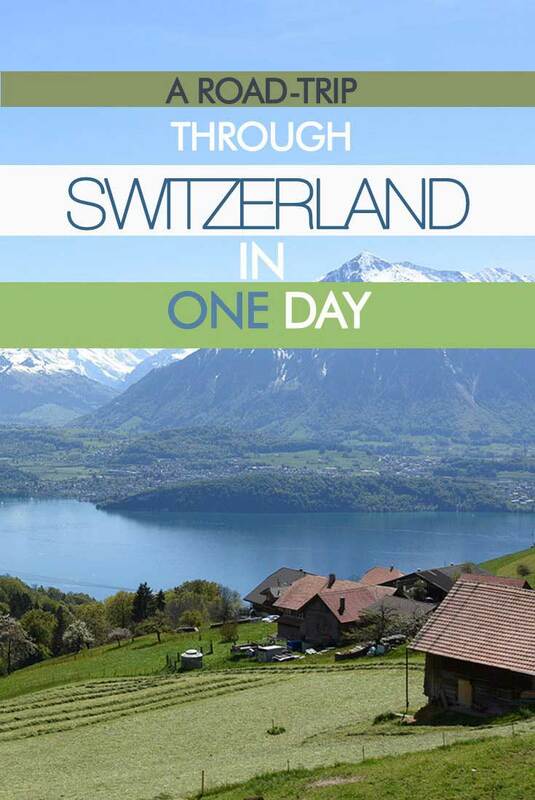 Have you been to Switzerland? What do you think about an idea of a road trip?